Who doesn’t love a cookout, time spent with the family around dinner or the first bite of an out-of-the-oven chocolate chip cookie? Way more than just an essential for life, food is at the heart of celebrating and pleasure. But our relationship with food can get tricky. Food can also be an accomplice to emotional issues like depression and isolation. Emotional eating is when you eat for reasons other than being hungry. 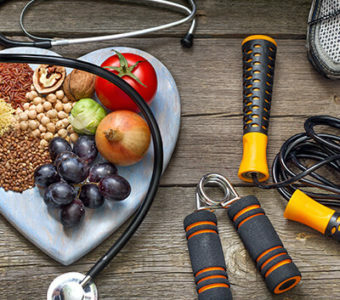 Reaching for something to nibble on when your emotions are calling the shots — stress, sadness or loneliness, for instance — rather than a growling stomach, can lead to a host of health issues — weight gain, diabetes, heart disease and depression. 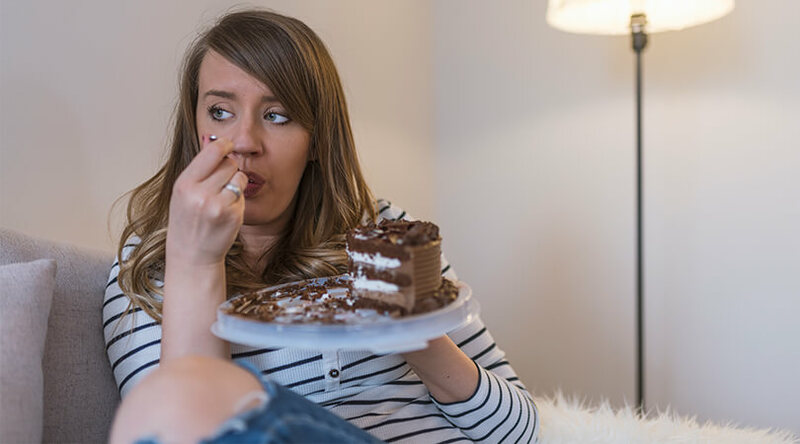 Dorienna Alfred, PhD, an OhioHealth psychiatrist, says there are three areas to look at that can uncover the why and when of emotional eating. Celebrating a promotion at work with a nice dinner out is different than swinging through a drive-through on the way home every day to celebrate the end of another workday. 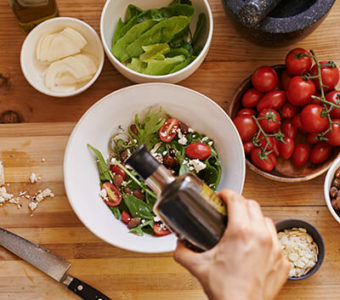 Most people fall prey on occasion to fighting stress with food (unless you’re one of those folks who go the other way and can’t eat when you’re stressed). But Dr. Alfred says, “If grabbing the nearest chocolate or salty something is your first and regular reaction to stress throughout the day, then you’ll eventually have health consequences.” Using food to quell an emotional issue doesn’t do anything to get to the root of what’s stirring your emotional pot. Are you pulling on sweats over your pajamas at 10 p.m. to run to the convenience store to kowtow to the call for chocolate? A “need” that intense is a craving — a signal you’re hungry for something other than nourishment. Emotional eating can affect your health or life in a way you don’t want. 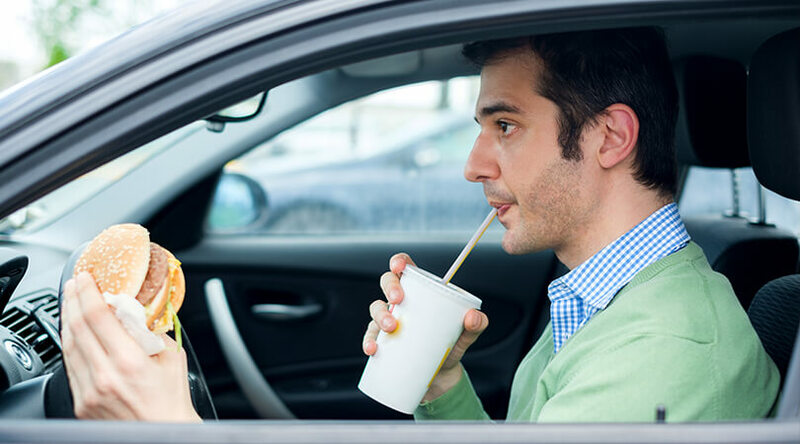 Are you spending money on sweets or fast food, for instance, that you don’t want to? Are you gaining weight? Are you making regular runs to the vending machine or digging into a candy stash regularly? Dr. Alfred says, yes, you can gain control over emotional eating. It starts with awareness and a few tips. Before you take that first bite, ask yourself if hunger or something else is driving your urge to eat. “When we eat from our emotions, we eat mindlessly,” says Dr. Alfred. Know your triggers. Is chocolate is your first defense when you’re under stress? Are kettle chips your favorite companion to Netflix? A tense client phone call, endlessly bickering kids or the deafening quiet of an empty house can stir emotions — not hunger — that prompt you to reach for comfort through food. Develop a mindful eating habit to replace your emotional eating habit. Set parameters, such as such as eating only when you’re hungry and sitting at the table, without other distractions like the computer, television or phone. Dr. Alfred says engaging with food is part of establishing a healthy relationship with food. For some people, cutting off access to foods that feed an emotional eating habit is the best strategy for success. Get out of the kitchen, take a quick walk or even get the chocolate and chips out of the house. Perhaps the most important part of a plan is developing strategies to help you deal with the emotions that are behind the eating.